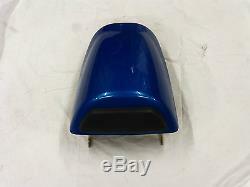 TRIUMPH DAYTONA SS 955I SPEED TRIPLE SEAT COWL HUMP POD COVER NEON BLUE. THIS ITEM WAS BOUGHT NEW. NOT THE OLD CURVY SHAPE. NO MARKS VERY HARD TO FIND LIKE THIS. 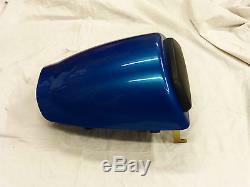 GOOD ENHANCEMENT TO YOUR BIKE. HAVING A CLEAR OUT PLEASE SEE MY OTHER TRIUMPH BITS. ALL THE ITEMS THAT I SELL ARE GOOD QUALITY. I DON'T SELL JUNK. IF THERE ARE ANY BAD DEFECTS THEY WILL BE HIGHLIGHTED AND POINTED OUT. I CAN'T HIDE THE FACT THEY ARE SECONDHAND. 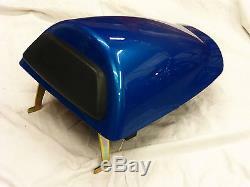 SAVE YOURSELF A FEW QUID AND TRANSFORM THE LOOK OF YOUR BIKE. PLEASE CHECK MY FEEDBACK FOR PEACE OF MIND. I TRY TO BE AS FAIR AS I CAN. 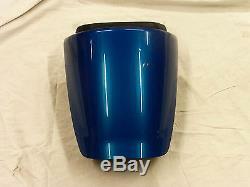 The item "TRIUMPH DAYTONA SS 955I SPEED TRIPLE SEAT COWL HUMP POD COVER NEON BLUE" is in sale since Sunday, September 17, 2017. 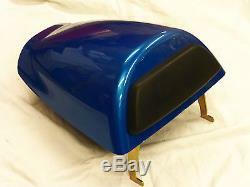 This item is in the category "Vehicle Parts & Accessories\Motorcycle Parts\Seating\Seat Fairings". 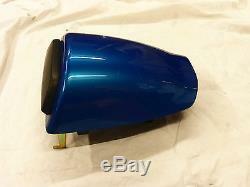 The seller is "hezure11" and is located in Grimsby. This item can be shipped to United Kingdom, Austria, Belgium, Bulgaria, Croatia, Cyprus, Czech republic, Denmark, Estonia, Finland, France, Germany, Greece, Hungary, Ireland, Italy, Latvia, Lithuania, Luxembourg, Malta, Netherlands, Poland, Portugal, Romania, Slovakia, Slovenia, Spain, Sweden, Australia, Russian federation, Canada, Brazil, Japan, New Zealand, China, Hong Kong, Norway, Indonesia, Malaysia, Mexico, Singapore, South Korea, Switzerland, Taiwan, Thailand, Saudi arabia, South africa, United arab emirates.